The Medical Billing and Coding professional, also referred to as a Medical Biller, is the person responsible for the prompt and accurate medical billing and coding of medical insurance claims. As the person in charge of billing, the medical biller reviews the medical insurance which insurance which is presented as a payment for medical treatment performed on the patients. The Medical Billing and Coding professional then processes the insurance claims by submitting them to the patient’s insurance provider. This is a very important position, as the Medical Biller is ultimately responsible for the revenue of the medical facility. Upon graduation, you will be qualified to work as a Medical Biller and Coder in places such as: Hospitals, Private Doctor Offices, Dental Offices, Home Health Agencies, Medical Equipment Suppliers, Clinics, Chiropractic Offices, Drug Treatment Centers, Insurance Companies, Laboratories, Group Medical Practices, Physical Therapy Offices, Clinics, HMO’s, Pharmacies, Optical Stores, Surgical Suppliers, Ambulance Companies, Nursing Agencies, MRI Centers, Testing Facilities, Nursing homes. 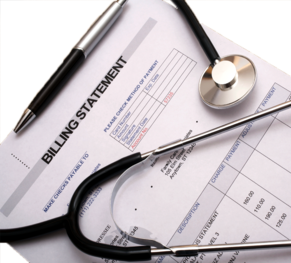 Medical billers can also work for the insurance company itself reviewing insurance claims.